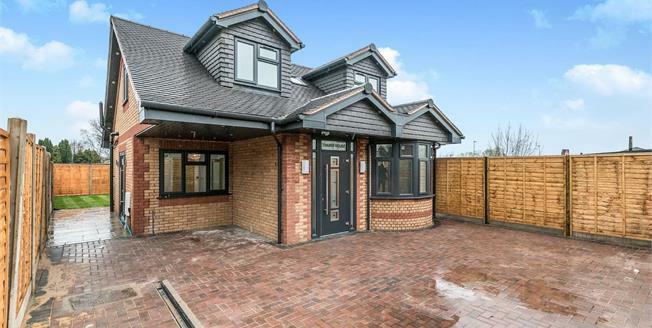 Bespoke Three Bedroom Detached New Build Property finished to an incredibly high standard through out. This stunning property briefly comprises, large private driveway and parking for multiple cars, welcoming entrance hall/dining area , down stairs WC and shower room, fully fitted kitchen, large lounge with bay window to front, three double bedrooms with ceiling apex window, bathroom with ceiling apex window, large rear garden with patio area and lighting, out building with radiator central heating and separate WC. The property also benefits from ambient lighting in the kitchen, dining area, bedrooms and bathroom.